Kendrick and J. Cole have surprised the internet this past Friday by both releasing two tracks where they cover each other’s beats. After treating yourself to plenty of platefuls of thanksgiving goodies and late night shopping, prepare to treat your ears to Kendrick Lamar’s and J. Cole’s “Black Friday”s. Do you smell that? 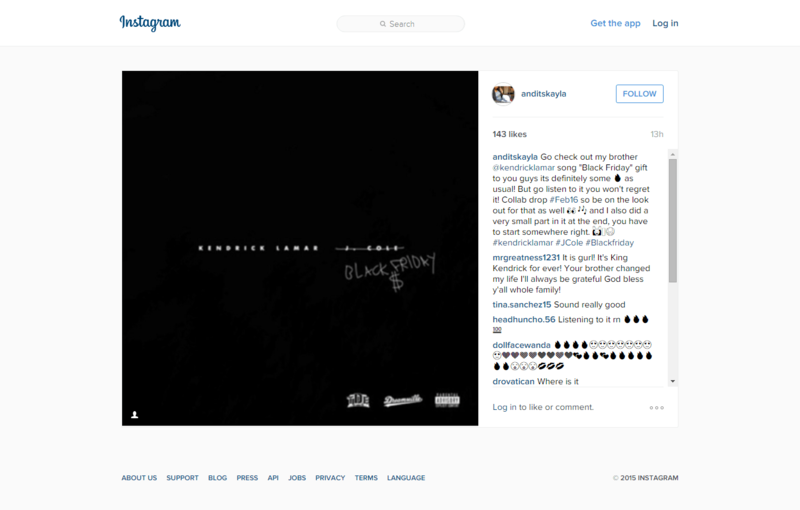 It’s the sweet, sweet smell of a collaboration between two of the hottest rappers right now. Hell, the two artists even tweeted out each other’s songs. After a busy year of rap beef and shade between artists, it’s refreshing to see two musicians embracing each other’s talents and giving us a unique combination. If you have not heard the songs, check them out below. 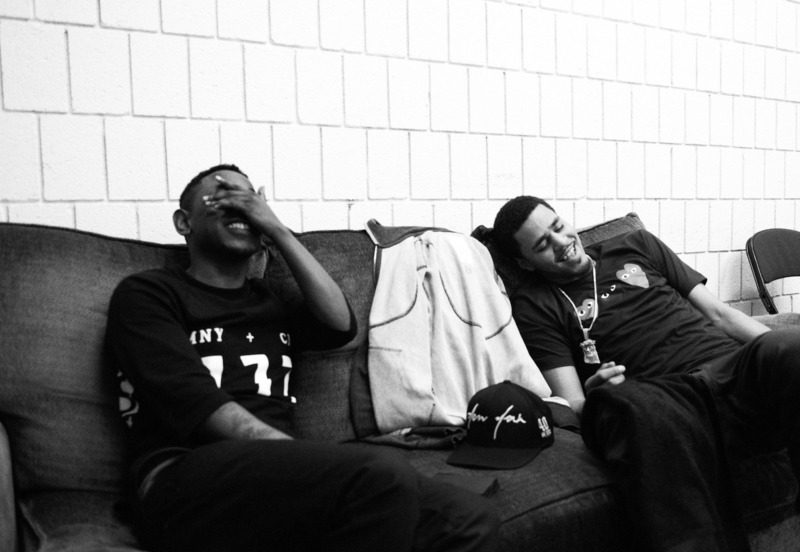 You’ll hear Kendrick Lamar freestyling upon J. Cole’s “A Tale of 2 Cities” from 2014 Forest Hills Drive and J. Cole’s freestyle on “Alright,” one of Lamar’s single off To Pimp A Butterfly. leading everyone to expect SOMETHING next February. Kendrick’s own sister also posted on Instagram saying to expect a collaboration in February before editing that part of the caption out. These sources all point towards February, but nothing has been confirmed officially by Lamar or Cole. Only one thing is for sure – a collaboration has been in the works and it won’t be long until we get to hear it. Don’t take my word for it though! Keep up with Lamar and Cole’s Twitter below in case of any more surprises. Houston is also hosting Day for Night on December 19-20 where Kendrick Lamar will be the main headliner! Find out more about the festival at the Day for Night website and pick up tickets here. What’d you think of the songs? Let us know your thoughts in the comment section below.